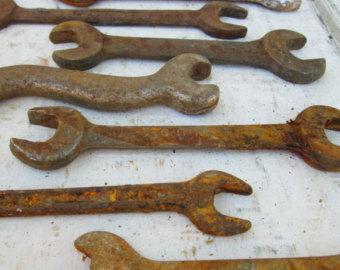 Your network is a tool, make sure it is not rusty! Home → News → Your network is a tool, make sure it is not rusty! What has your network done for you this week? Has it helped you find customers? Has it helped you be more organized? Worse, has it wasted your time or slowed you down? Your network is a tool that should be sharpened regularly. Make sure your data is backed up and safe and your anti-virus software is up to date. Let us help insure your network is working as it should to support your goals. We have custom solutions to meet your needs and budget. We have solutions that can help with productivity. How many SPAM messages do you receive? How many do your employees receive? Is the web surfing at your company benefiting your bottom line or killing productivity? Do you want to self host your solution or host on a service that will monitor updates for you? We have solutions that will secure your data. Do you need a vulnerability or penetration test? Do you know the difference? Is your anti-virus solution updated and working? Is your confidential data being accessed by others? Is your data being emailed to external accounts? Do you know? We have solutions that will backup your data. How are you backing up your data? Have you restored data from your backups to insure your backups are working? Do you take your backup media off site? Do you have equipment lists so that you can recover quickly in a disaster? Do you have a disaster recovery or business continuity plan? We can help find the right solution for you.